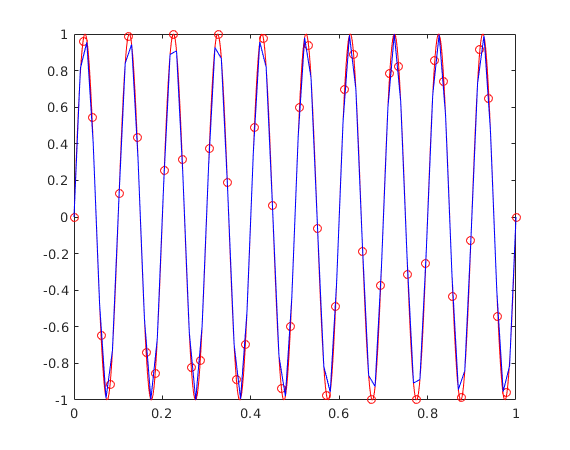 This is a set of Matlab functions to interpolate scattered data with Radial Basis Functions (RBF). interpolates to find y, the values of the function y=f(x) at the points x.
Xs must be a matrix of size [N,Dx], with N the number of data points and Dx the dimension of the points in xs and x.
Ys must be a matrix of size [N,Dy], with N the number of known values at points in Xs, and Dy the dimension of the y values. X must be a matrix of size [M,Dx], with M the number of query points. RBFtype specifies the radial basis functions (RBF) to be used. R is either the support radius for the compact support RBFs or a parameter to make the distance values dimensionless for the global support RBFs. Beckert, Armin and Wendland, Holger. Multivariate interpolation for fluid-structure-interaction problems using radial basis functions. Aerospace Science and Technology, 5 (2), p. 125-134, 2001. Wendland, Holger. Konstruktion und Untersuchung radialer Basisfunktionen mit kompaktem Träger}. PhD thesis, Göttingen, Georg-August-Universität zu Göttingen, Diss, 1996. De Boer, A and Van der Schoot, MS and Bijl, Hester. Mesh deformation based on radial basis function interpolation. Computers & structures, 85 (11-14), p. 784-795, 2007. Biancolini, Marco Evangelos. Fast Radial Basis Functions for Engineering Applications. Springer, 2018.